Silver and gold caught my attention today, they both have large bearish reversal candles on them. Gold looks OK, but not as convincing as silver in my opinion. Silver had a much larger bearish response last session, printing a bigger bearish outside day. 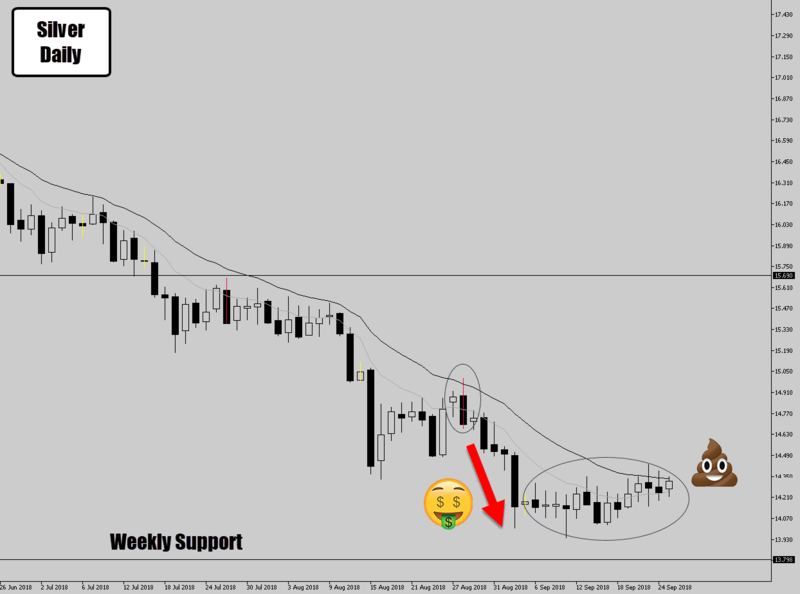 We can also see a nice stable downtrend, a test of the mean, and plenty of room to drop to the next weekly support if Silver does continue to sell. This signal is pretty text book and very hard to say no to! 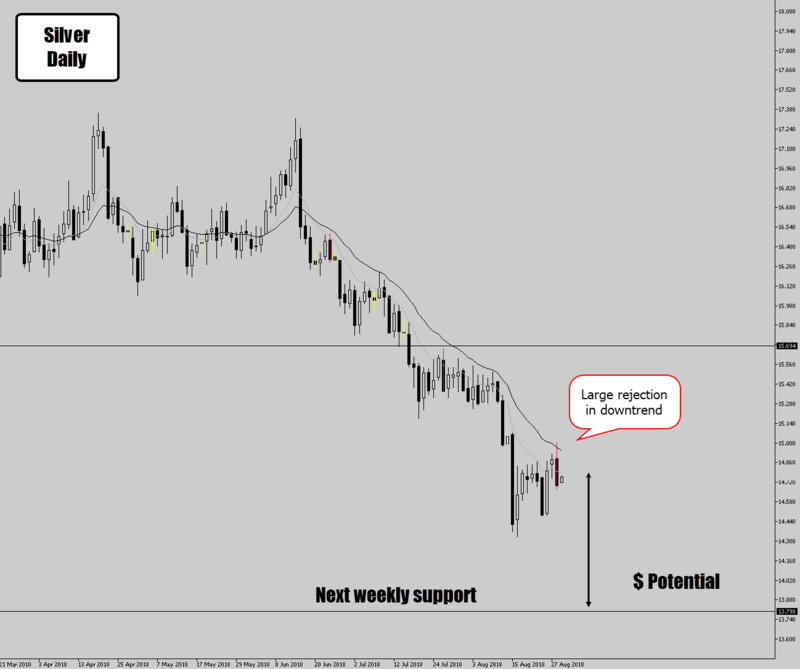 Things picked up quickly and the trend moved along – pushing the trend trade into profit. However, the market didn’t reach the weekly support before stalling, which is really annoying. Currently we’ve been sideways for 3 weeks – with the price action so stale it might be worth looking into an early exit. The option is there to continue to ride this out as planned to the weekly support, but it seems like the trend momentum is dead. To contradict myself, we did see some sideways price action back in July, which did eventually push back downwards.